What you can expect as standard when servicing through Sutherland Volkswagen is an expert team, trained by Volkswagen utilising specialist Volkswagen diagnostic equipment ensuring they’re able to cater for all of your Volkswagen’s servicing and repair needs. They also have access to the full Volkswagen Genuine Parts catalogue making sure any part replaced during a service or repair is replaced with a Volkswagen Genuine Part. What’s more, your Volkswagen will be returned in immaculate condition, cleaned and vacuumed. Add these together and you can rest assured there’s no better place to keep your Volkswagen running like a Volkswagen. When should I service my Volkswagen? Scheduled services should be performed based on either time or distance travelled (whichever your vehicle reaches first). You should check your log book to view the service intervals for your Volkswagen. Below are some examples of when to service based on either time or distance. Please note that service intervals may vary for some Volkswagen Commercial vehicle models. Your models first service is due at 12 months/15,000kms. At 12 months your odometer is only at 9,000kms. You should service based on time and have your Volkswagen serviced. Your models first service is due at 12 months/15,000kms. You have only owned the vehicle for 7 months though and have already reached 15,000kms on your odometer. You should service based on distance and have your Volkswagen serviced. If you have any questions on when to service, Sutherland Volkswagen is always there to help. Why Should I Service My Volkswagen On Time? Adhering to your Volkswagens service schedule helps ensure that major components of your vehicle are working properly. It also ensures that oils and fluids are replaced on time to keeps your Volkswagen working as it should. Minor repairs developing into potentially larger, more expensive repairs. Safety issues eg braking systems not working correctly. A reduction in fuel efficiency. Potential to jeopardise your vehicles warranty. *Volkswagen Assured Service Pricing applies to the first 5 standard scheduled services of your vehicle which are scheduled to occur at every 15,000 km / 12 month interval ( whichever occurs first ). On or before 31 December each year, Volkswagen will publish the maximum price for a specified Schedule Service that will be applicable from, and remain fixed for, the following calendar year only. Exclusions and conditions apply. Please refer to the full Terms and Conditions for items not included in the Volkswagen Assured Service pricing. 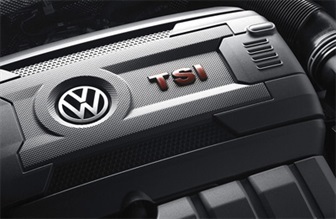 Volkswagen Group Australia reserves the right to at any time modify or discontinue the Volkswagen Assured Servicing programme.